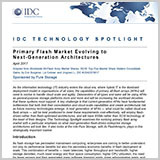 As flash storage has permeated mainstream computing, enterprises are coming to better understand not only its performance benefits but also the secondary economic benefits of flash deployment at scale. This combination of benefits — lower latencies, higher throughput and bandwidth, higher storage densities, much lower energy and floor space consumption, higher CPU utilisation, the need for fewer servers and their associated lower software licensing costs, lower administration costs, and higher device-level reliability — has made the use of AFAs an economically compelling choice relative to legacy storage architectures initially developed for use with hard disk drives (HDDs). To protect against today’s advanced attacks requires a natively integrated, next-generation approach to security. How can you be sure you’re choosing the right next-generation firewall?